Popular guide Rod Thomas will present seminars in January at a fishing show in Raleigh, N.C., that cover big catching huge red drum like this one. It’s January, and let’s face it, even though plenty of fish are still willing to bite this time of year, it doesn’t hurt to take a break when the weather is cold. But that doesn’t mean you have to quit thinking, preparing or planning to catch fish. January is the beginning of the boat and fishing show season. The first is the Grand Strand Boat and Sportsman Expo, scheduled for Jan. 4-6 at the Myrtle Beach Convention Center. You’ll have plenty of boats and fishing tackle vendors to choose from, but you can also take notes during a host of seminars, including kayak fishing from guide Mike Eady, inshore fishing with guide Mike McDonald, and using a cast net with guide Jason Burton, plus more. Next up is the Bass and Saltwater Fishing Expo, which runs Jan. 11-13 at the N.C. State Fairgrounds in Raleigh; it’s the largest fishing show in the Carolinas. No matter where you live, this show is worth the trip. You’ll find the latest fishing tackle and accessories, the newest marine electronics and numerous seminars to get you ready for some great fishing in 2019. 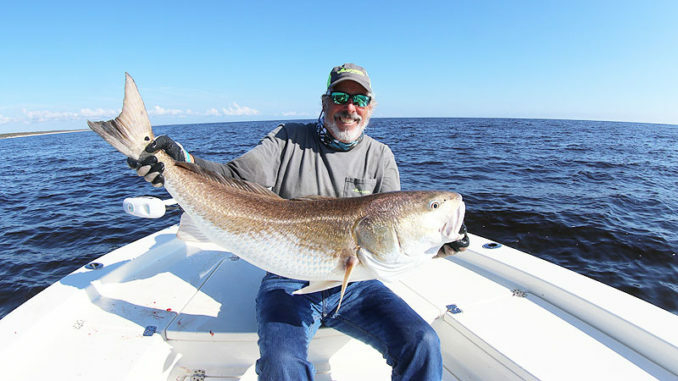 Saltwater fishing seminar presenters include Jerry Dilsaver, the Carolina Sportsman columnist who will teach you all you need to know about rigging your kayak and tactics for catching trout, flounder and puppy drum inshore. 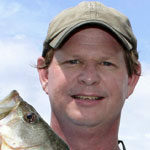 You won’t want to miss his presentation on kayak fishing nearshore waters for kings and other species. Guide Rod “Ponytail” Thomas will be on hand to talk about catching giant red drum on the Pamlico Sound and stripers during the spring run up the Roanoke River. He specializes in helping anglers catch their fish-of-a-lifetime through his seminars as well as his guided trips. Another speaker you don’t want to miss is Dave Tilley, a bottom-fishing wizard who will teach anglers how to use satellite images and all the data that comes with them to catch more fish. His Weather Forecasting for Captains is another feature that anglers enjoy each year at this show. John Knight is one of the top surf anglers on the east coast; he’ll share his tips on fishing the southern Carolina coast. If you think surf fishing is simply walking up to the water, making a cast, then waiting on a bite, you really need to take notes at Knight’s seminars. Wrecks and artificial reefs dot the Carolinas coastlines, and guide Noah Lynk of Harker’s Island will be around to show you what equipment and techniques are best for fishing these structures to catch a variety of species. You definitely don’t want to miss guide Bobby Brewer’s presentations on catching false albacore and giant old drum. Brewer is a regular fish junky, and he catches them from kayaks and powerboats, so you can learn plenty from him. A host of freshwater seminars including numerous pro bass anglers as well as crappie guide Freddie Sinclair, will teach you what you need to know for the coming spring bite, and we can all learn a lot from Wilson Frazier, the “Sonar Professor,” about using electronics to catch more fish. One weekend later, Jan. 19-20, the Greenville Convention Center in Greenville, N.C., will play host to the Carolina Outdoor Expo where guide Ricky Kellum will lecture on catching speckled trout on top, bottom and everywhere in between. Guide Joe Shute will share cobia fishing tips, guide Dave Stewart will hold a striper fishing seminar, guide Richard Andrews will provide his tips for catching flounder inshore, nearshore and offshore, freshwater guide Greg Griffin will share his crappie fishing secrets, and Ollie Smith will help you get equipped for your next mountain trout adventure. You’ll have plenty of tackle and accessory vendors to keep you busy as well. If you want to see even more boats, it’s back to Raleigh Feb. 8-10 for the Raleigh Convention Center Boat Show, and later in the month, Feb. 22-24, you’ll have two shows to choose from. The Eastern North Carolina Boat Sale will be held in the Greenville (N.C.) Convention Center. This show will focus more on boats than fishing tackle or seminars. That same weekend, the Central Carolina Boat and Fishing Expo will be held at the Greensboro Coliseum. This show is very similar to the Bass and Saltwater Fishing Expo, with fishing seminars and countless fishing tackle and accessory vendors, as well as outfitters to set you up on your next fishing outing. Then, it’s down to Columbia, S.C. for the Palmetto Sportsmen’s Classic March 22-24 at the South Carolina State Fairgrounds. This show has something for every outdoorsman, and features hunting as well as fishing seminars, displays, and vendors. The venue will also hold the weigh-in for the 2019 S.C. Youth Bass Fishing Championship. It’s show time! Don’t miss it.